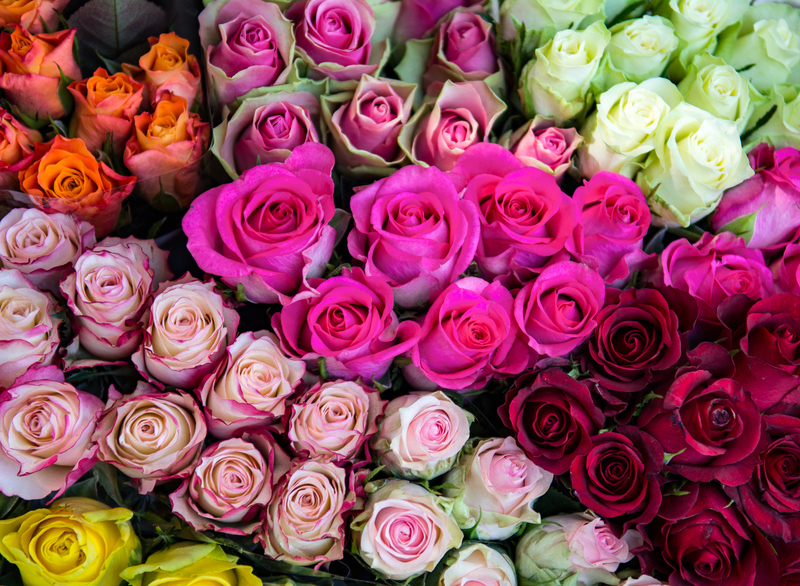 There are actually only a handful of things I consider a must-have for la belle vie and at the top of the list are fresh flowers. They instantly beautify a space, elevate a table setting or vignette, and lift your mood. 1. Fill a clean vase or other vessel 1/3 of the way with room temperature water. Tulips last longer in shallower water. 2. Gather all the flower heads together in the shape you desire. 3. Hold the stems next to your vase or vessel to gauge the length, then trim ends at a 45-degree angle to fit. 4. Remove any leaves that grow beneath the water line. 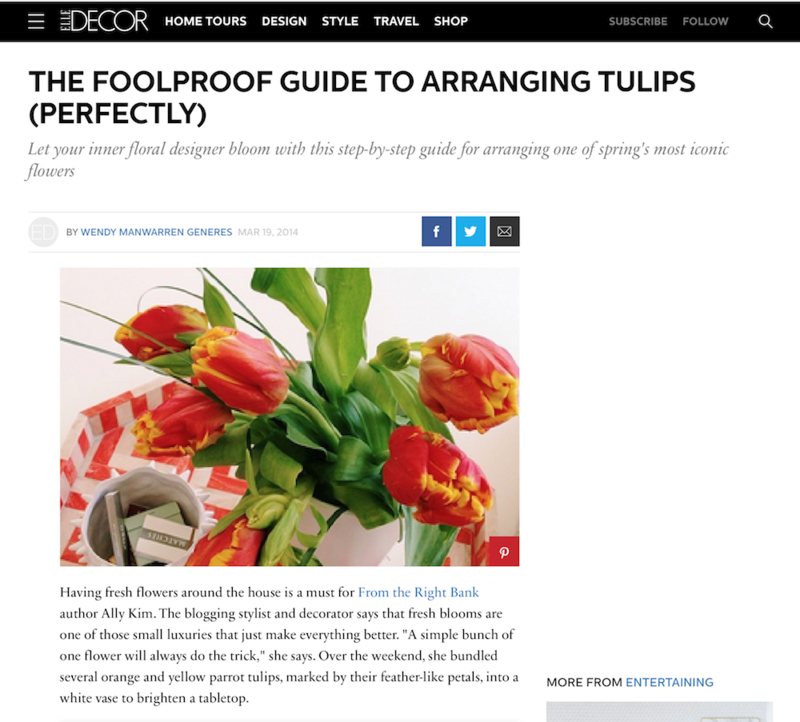 The article talked specifically about tulips but this method can be used for virtually any flower. Even humble carnations from the grocery store are beautiful when bunched tightly together. So go forth and make an arrangement!